I've just gave it a polish, changed the strings and fixed the wiring and realised there's nothing wrong with it at all. 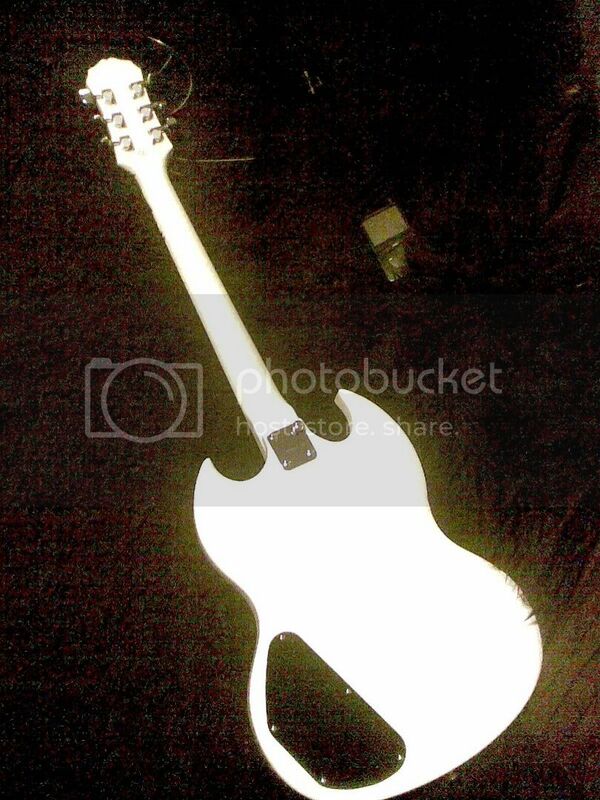 It is a white Epiphone SG (g-310) with a black scratchplate, 100 or best offer. I can get pictures up of it in it's new found beauty tommorow if anyone is interested and for an extra 10 i'll throw in a stand, gig bag, strap, plectrums, guitar lead and a stagg 10 watt amp which is everything you need to get started. 90 plus gig bag, strap, plectrums, guitar lead and a stagg 10 watt amp? perfect for a beginner. Yeah, i'll get some up of all the stuff together, just trying to find the usb to this bleeding camera! Hmm, i'll keep that offer in mind, 80 for just the guitar anyone? 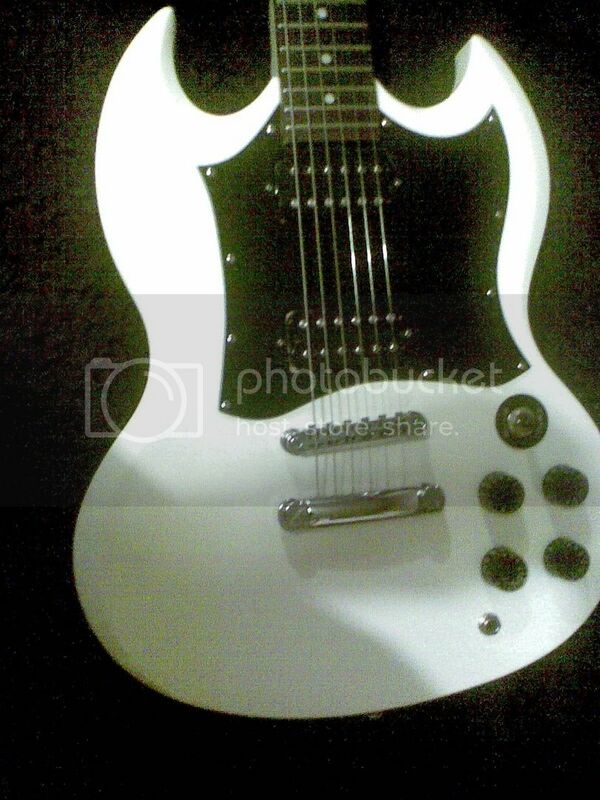 80 for an epiphone sg anyone? just changed the strings, looks and sounds fantastic.